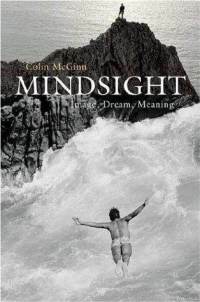 Philosopher Colin McGinn explores the differences between seeing and mental images, and the implications of visualisation for the development of the human capacity to imagine. We are all familiar with the distinction between seeing something and merely visualizing it. If I were in Paris now, I could see the Eiffel Tower; but sitting here in New York I can only visualize it. Seeing requires the presence of the object, while q does not. We do not tend to confuse our images with our percepts. Yet it seems right to characterize both mental operations as visual, in the sense that visual experience of some sort is involved; and in both cases the same object—the Eiffel Tower—is the intentional object of my experience. My seeing experience may represent its object as having a certain characteristic shape and color, and will place the object against a certain background; and my visualizing experience may represent the same object as having just that shape, color, and background. So there is a clear similarity between the two types of experience-between their phenomenology, intentionality, and sense-modality—as well as a clear difference. But what, exactly, is the difference between them? How does the mental act of seeing something differ from that of visualizing something? Generally speaking, we are not ordinarily confused about the distinction—we can tell the difference in our own case so what is the basis of our ability to differentiate between seeing and visualizing? In other words, how do percepts and images differ? We speak of seeing in (or with) the mind’s eye: but how literally should this talk of seeing be taken? When I visualize something, do I really see it? Or does “in the mind’s eye” function to cancel the implication of seeing—as with “fake” in “fake gold”? Is seeing with “the body’s eye” the only genuine kind of seeing? And if so, what becomes of the idea that visual imagery is genuinely visual? In general, what is the conceptual relationship between seeing with the body’s eye and seeing with the mind’s eye? Is the former more basic, so that the latter is an extended (or overextended) use? I shall argue, to the contrary, that the mind’s eye does afford a kind of seeing, that the experiences it delivers are straightforwardly visual, and that the phrase “the mind’s eye” is not metaphorical. It is literally true that we see with our mind; “mindsight” is not an oxymoron (unlike “blindsight”). The reasons against postulating a mind’s eye are obvious: there is nothing in the brain that resembles the anatomical eyes that adorn the top half of our faces. There is no organ in the brain with a cornea, a lens, a retina, and so on that interacts with light to produce a percept. Now, I am not about to announce a startling empirical discovery to the effect that such a structure has just been discovered buried deep within the occipital cortex; the points I want to bring up are entirely conceptual. The question I am interested in is whether the so-called mind’s eye involves a type of genuinely visual experience that can take external things as its intentional objects. If so, it is a type of seeing (in the relevant sense). Suppose I form an image of the Eiffel Tower: do I thereby visually apprehend the Eiffel Tower? Is that object presented to my mind in the visual mode? Very little is scientifically known about the phenomenology of the infant mind: about what it is like to be a baby. But we can at least venture some speculations. Presumably percepts (better: sensations) abound, however unarticulated they may be. … When images make their appearance is a matter of guesswork in the current state of knowledge, but I think we can assume that they initially enter the mind in the form of memory images, prompted by earlier percepts. It is highly doubtful that the infant recognizes these images as images—doubtful that she judges them to be what they are. They simply commingle with percepts in the phenomenological soup, not yet differentiated out. For the infant, images and percepts blur together. From this initial state, three achievements are necessary for the image system to attain maturity: (1) images must come under voluntary control, (2) they must enter into the correct relationship with belief, and (3) they must be conceptually differentiated from percepts. The child must make images subject to her will, she must know not to believe them, and she must be able to tell when she is having one. These three achievements constitute the “output” of the maturation process. In all probability there will be a “critical period” during which this process must occur—just as there is a critical period for language learning. The process might of course be disrupted, in which case there may be a failure to achieve conditions 1-3, but normally the process proceeds without a hitch; we become masters of our imagination. How do these three accomplishments occur? Allow me to speculate: my hypothesis is that control comes first, then correct belief alignment, then conceptual differentiation. … We may suppose that at some stage the child discovers that some of its sensory contents can be manipulated at will and some may not—much as some of its bodily movements may be willed and some may not. Perhaps this is a matter of trial and error, or perhaps it is the unfolding of an innate program. In any case, a deep distinction in the sensory states that besiege the child’s consciousness is recognized. This reflects the different nature of their causation, among other things. In the first instance we may assume that memory images are selected out as controllable, while their perceptual originals are not. Once this is appreciated, the question of what to believe becomes tractable: you can believe the involuntary percepts but not the voluntary images. Perhaps this becomes evident because of the different effects on action that the respective beliefs produce: in the case of percepts, the belief works out well; in the case of images, it leads to unsuccessful action (there is no use believing that mother is present when you are only remembering her via a memory image). This transition may not be a matter of ceasing to believe what is merely imagined; it could rather be commencing to believe what the percepts indicate. What matters is that beliefs get correctly aligned with the perceptual and imaginative faculties. Subjection to the will, I conjecture, is the cue that guides this alignment. The next stage is coming to possess and apply the concept of imagination. This emerges via the idea of what can and cannot be believed: the concept of imagination corresponds to the notion of mind. Even the elementary memory image is “creative” relative to the percept that prompts it, since it is made possible only by dramatic mental transformations (particularly coming under intentional control). Once the memory image has taken up residence in the mind, the basic materials for other types of imagination are in place; it only takes recombination to get the imagination started on its journey to the far reaches of possibility. Of course, those later stages themselves require their great leaps forward, and outside assistance from other mental achievements, but we should not underestimate how far the simple image has taken us from its perceptual roots. The transition from sensory to cognitive imagination is clearly a large one. Up until that point the imagination has worked with materials supplied by sense, though it has assumed a different mental form from that of the percept. But once concepts become the medium of the imagination, we are in a different landscape—in which the liberation from sense has been completed. We are no longer simply seeing with the mind’s eye, but thinking in ways that transcend the actual: we are able to suspend judgment and effectively survey endless possibilities. It is doubtful that other animals can do this; in any case, it is a step to another level altogether. But, as I have insisted, it is a step with roots in what went before; it doesn’t come from nowhere. In the end, most adult imagination is a kind of fluid merging of the sensory and conceptual modes: seeing in the mind’s eye becomes embedded within conceptual exercises that expand the scope and influence of the imaginative faculty. Imagining that is intertwined with the production of sensory images. The sensory image gives the imagination body, while the cognitive imagination gives fresh significance to the image. Thus when I form an image of a certain person, a whole complex of thoughts may come with that image-thoughts that represent the possibilities I associate with the imaged person. The imagination spectrum has met at both ends, so to speak. I might even write a novel based on my memory images, in which case creativity and memory imagery will have joined forces. What has I hope become clear is that the imagination is a ubiquitous and central feature of mental life. It pervades nearly every mental operation. It never rests, day and night. The imagination is not some idle luxury or epiphenomenal sideshow, a way to pass the time on a slow afternoon. It plays a constitutive role in memory, perception (seeing-as), dreaming, believing, meaning-as well as high-level creativity. We use our imaginative faculty all the time. Without it life would be a lot less interesting (to put it mildly). Imagination needs to be given more credit in any account of the human mind.